Hubby and I took a lovely little evening stroll after he got home from work. 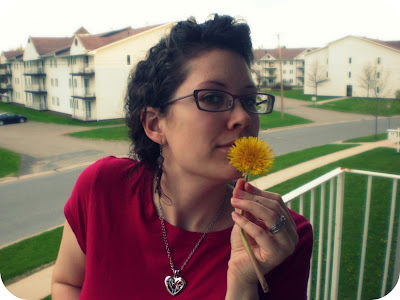 It turned out to be a nice day today and I had my balcony door open all day to let in the nice breezy air. Ahh, I love the feelings that the spring time brings. 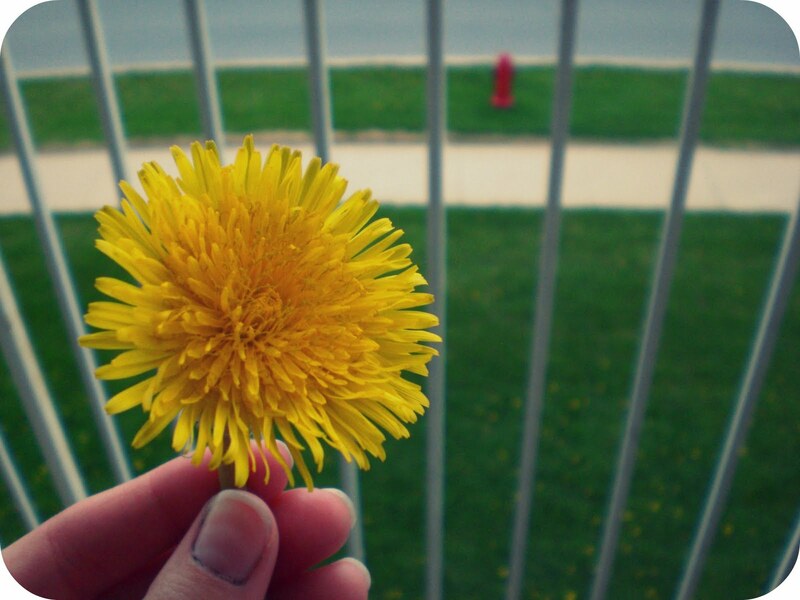 I like the pretty weeds it brings too :) There are tons of these little dandelions everywhere! If you look closely you can see all the yellow dots on the grass below me. On our little walk I picked this ginormous dandelion! It's awesome! I've never seen one so big in all my life. I don't think the pictures express the reality of it's size. I got me a SEWING MACHINE! !